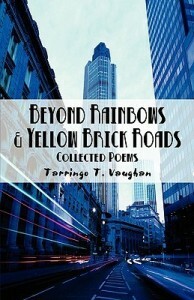 Tarringo T. Basile-Vaughan always believed he had a love affair with literature. One of the first pictures he saw of himself was of him at maybe the age of three or four year’s old sitting with a book in his hand. But for Tarringo, growing up in the depths of the inner city both in Boston, MA and Springfield, MA made him believe that expression through the literary voice was un-cool and unattainable. As a very quiet and shy child he learned it became very valuable in his self expression. Born in 1976, Tarringo was the first child, grandchild and nephew in a family that had grown accustomed to struggle. His mother was a teenager who quickly lost the support of my father who today he knows very little of. These aspects of his life triggered the inspiration of his pen. Later in life his struggle with self confidence and homosexuality catapulted his desire to write. He felt a need to educate and help others in his situation through words. It became Tarringo’s ambition to be somebody and in 1995 he entered his freshmen year at the University of Massachusetts at Amherst where he was still a very quiet individual and still refused to make a career involving literature. But his English courses continued to intrigue him the most and through those courses he became familiar and connected with African American writers such as James Baldwin and Langston Hughes who taught him that it was cool to be whom he was. James Baldwin was also gay and proudly exhibited his sense of self and Langston Hughes was a genius in poetry whose suave lyrical delivery drew Tarringo into his expression. And as his education furthered he found himself opening up more and taking on the role of a leader socially. 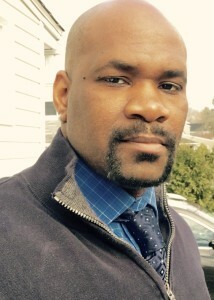 Tarringo T. Vaughan graduated in 2000 from the University Of Massachusetts – Amherst with a Bachelors degree in English and Communications as a 2nd major. Tarringo currently works in the healthcare field as a professional coder/auditor. He is the author of two poetry publications “A Crack In The Sidewalk” and “Beyond Rainbows & Yellow Brick Roads” and is the founder/Editor & Chief of the Flexwriters Creative Network (http://www.flexwriterscreativenetwork.net),which currently features an online magazine, a social site and many literary outlets for poets, writers, publishers and readers. 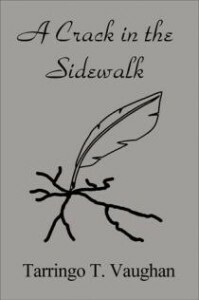 Future plans include a publishing company as well as well as more publications of poetry and literature. His writing consists of many styles as he does like neglecting rules and going beyond the norm. Tarringo is also a freelance writer at Examiner.com and AXS.com. Topics range from LGBT issues to writing for his favorite sports teams, the New England Patriots, Boston Celtics and Boston Red Sox.